We have 3 Luxury Salons across south wales. Take a look. Award winning salons, expert stylists. Burlesque Hair Company is a creative, artisan, passionate team, delivering high quality hairdressing from their 3 cool, contemporary, fully air conditioned salons situated in the counties of Newport and Monmouthshire. To be the creators of the very latest and current trends, colours and styles. Traditional shaves for modern men. 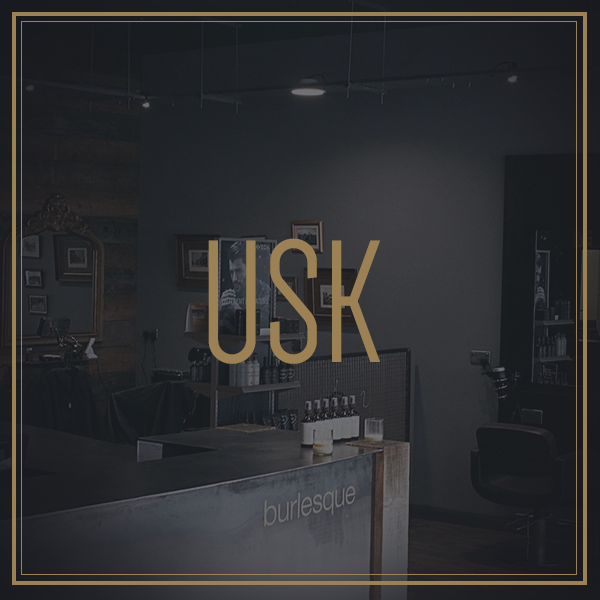 Join us at our barbers, now open, in our Usk Salon. Where you can enjoy luxury grooming from traditional wet shave to beard trims. We also offer a range of wedding packages and the chance to purchase gift cards.